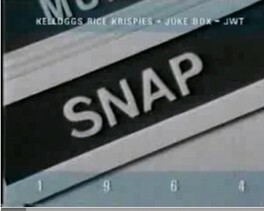 I imagine the Rolling Stones shilling Rice Krispies way back in the LBJ days is supposed to be some sort of skeleton in the closet, but the jingle rocks. I'd rather listen to this than anything the've done in the last 25 years, for certain. And it makes me want to eat Rice Krispies. Via Advanced Theory, out of the Fiddler, again. Wow that is incredible I´ve never know that.